Pajama pants are a must have in our house. So much so that we make them year round but especially during the holiday and winter months. Perhaps that is how it is at your house. Pj's rule! 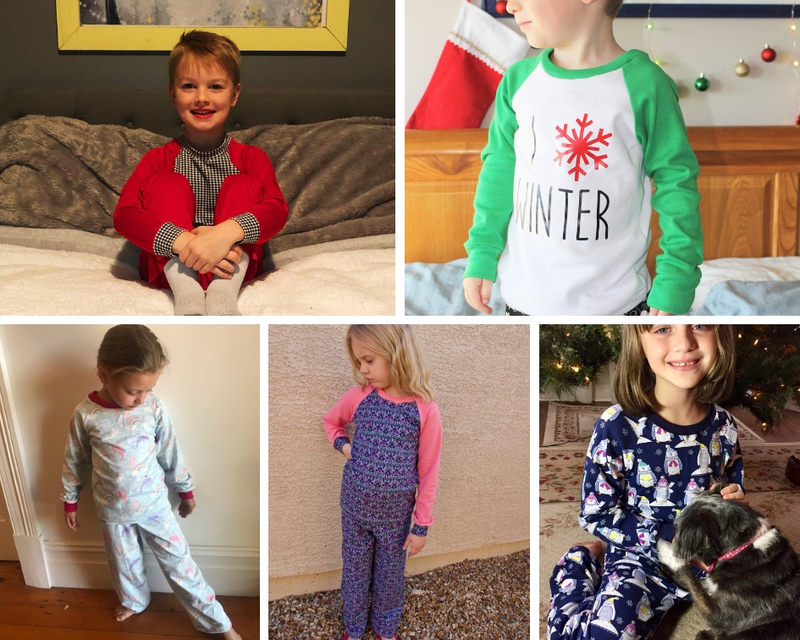 That's why I wanted to share with your our free pajama pants pattern. 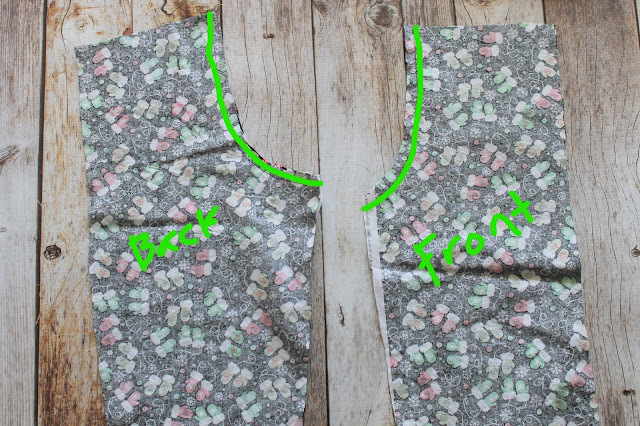 Not only can you grab the pj pants for free but you'll get the pattern pieces for the raglan top as well. One of the reasons I really love this pattern is that you can use either woven fabrics or knit. 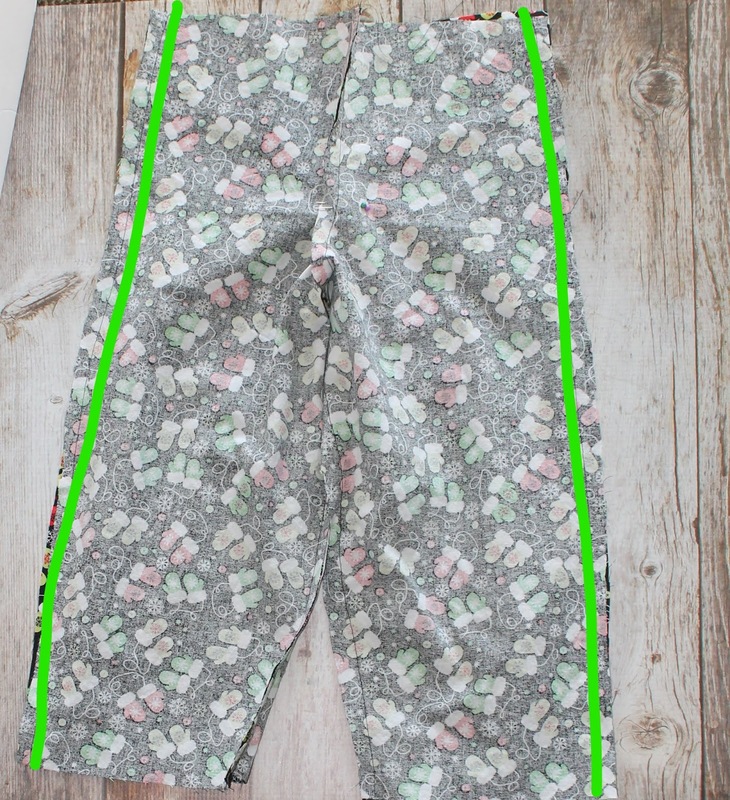 Most children's pajama pants patterns are designed to hug the body. But these are loose fitting and designed for lounging around during the holidays or on cold winter nights. Just make sure to follow the size chart provided in the pattern pieces so you get the right fit for your little ones. This pattern comes in sizes 12 month -12 years for kids. It was tested by some great sewists with children in the size ranges. That means it will fit your child as long as you follow the size chart found in the pattern. 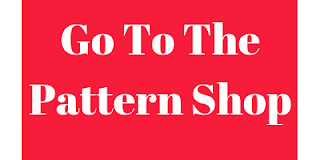 You can grab the pattern pieces for free by clicking below. 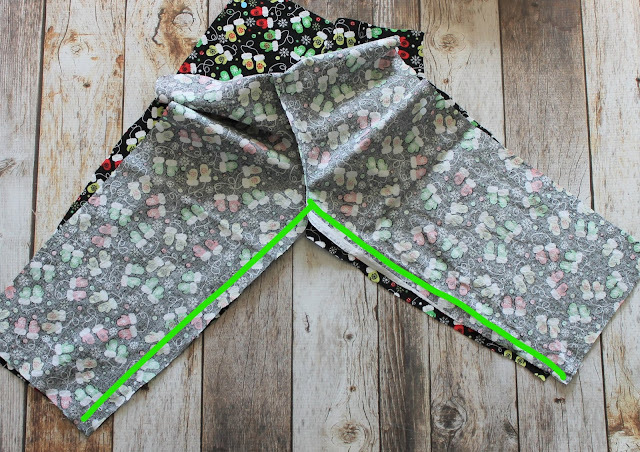 Than just head back here and follow along with our super quick tutorial on how to sew these pj pants up. Let me walk you through the quick steps it takes to sew up this free pajama pants pattern. When you download the pattern, you'll get the free raglan top pattern as well. You can see the tutorial for how to sew a raglan t-shirt by clicking here. Now let's get sewing those pajama pants. Would you rather just get the tutorial and pattern pieces? You can grab them both for just $2 in our pattern shop this holiday season. With RST, place 2 pant back pieces together and stitch down the crotch seam. With 2 front pieces together, stitch down the crotch seam. Open up the pants and match the inseam. Pin in place and stitch the inseams together. Match the side seams of the pajama pants. Stitch down the sides of the pajama pants. To create the waistband, fold the top edge down 1/4" and then another 1.25". Find the back of your pants and mark a 2” opening in the center. Stitch around the waistband at the bottom edge ¼”. Leave the 2” marking open. Thread elastic through opening. Overlap the elastic by 1” and stitch together. Pull elastic into waistband. Stitch opening closed. Turn the hem of the pants 1/4" and than another 1/2". Press. Stitch around the bottom of the pants. Repeat with opposite pant leg. 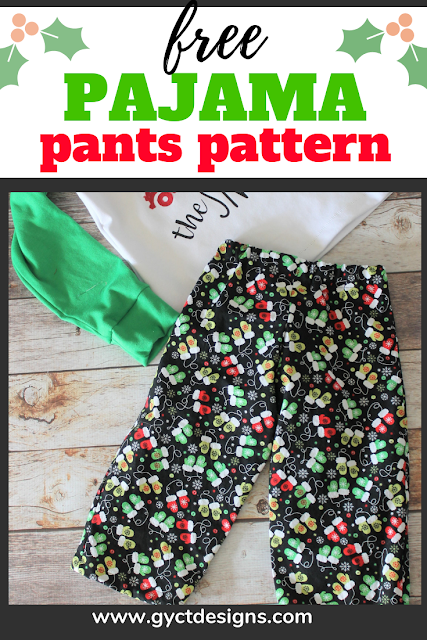 See how quick and easy this free pajama pants pattern is to sew up! Make sure you go grab the pattern piece here. And don't forget to check out the raglan t-shirt pattern tutorial as well.